Weekend pass (includes on-site tent camping) $175; cabin bunks available for an additional charge; single-day tickets also available. 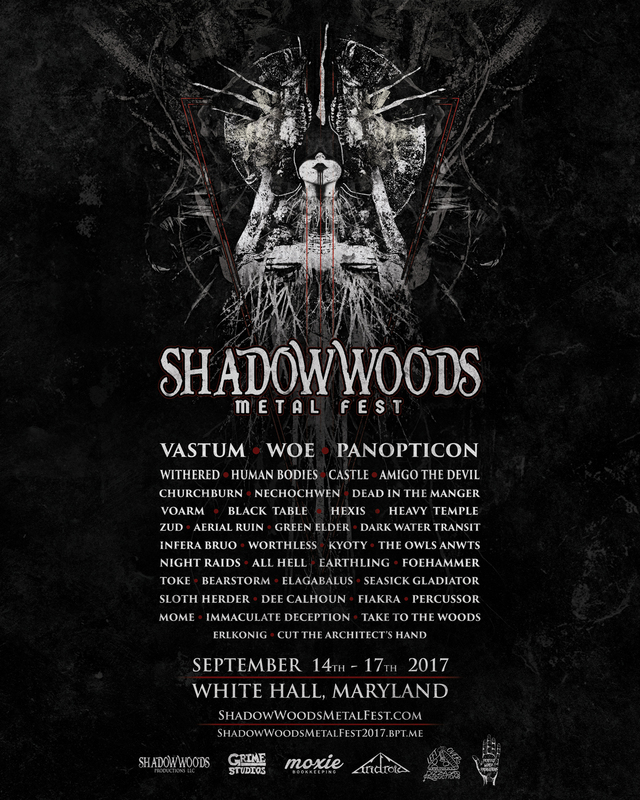 Shadow Woods Metal Fest, the Mid-Atlantic’s only open-air camping heavy metal gathering, is back for its third year featuring 39 bands from all genres and subgenres of heavy metal spread out over three days and four stages, tucked away in a summer camp in eastern Maryland. Performers will include a few that we’ve written about before (like Castle, Green Elder, and Hexis), some we haven’t quite gotten around to YET (including Panopticon, Dead in the Manger, Foehammer, Nechochwen, Sloth Herder), and literally dozens more!